The collaboration with Whole Planet Foundation is an extension of WTRMLN WTR’s ethos to “Seed Change and Spread Liquid Love.” This defining principle expresses the Company’s commitment to initiatives that give back. 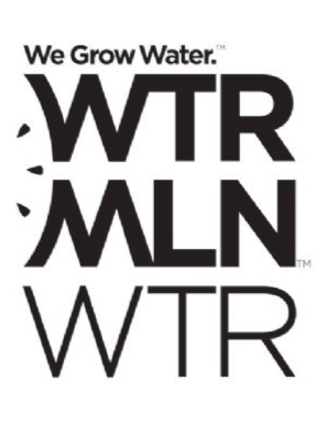 Whole Planet Foundation joins WTRMLN WTR’s growing list of value-driven partnerships, including Product (RED); a “Seeding Change” athlete campaign that provides educational insights for consumers to lead healthier lives; and a mission-driven investment from Beyoncé. WTRMLN WTR is the pioneer in healthy, cold pressed juiced watermelon. The delicious, nutritionally rich WTRMLN WTR is sourced from “ugly” melons that are otherwise discarded, and consists of nothing but watermelon and a drop of organic lemon juice. It is straight from the fruit, with low calories / sugar (equal to coconut water), high electrolytes (550mg of potassium), Citrulline and Lycopene (for muscle health and antioxidants). There is no added water, and no added sugar! The product comes in its original WTRMLN WTR form as well as 4 functional BLNDS – GNGR (ginger), CHRRY (cherry), LME (lime), and LMN (lemon). Our mission is rather simple: better, more sustainable methods of food production, less waste, a smarter planet, healthier humans, a healthier world, more love, equality, decency and kindness. The product is all natural, gluten free, non-GMO, vegan, and kosher. WTRMLN WTR: Hot pink juicy watermelon flesh. Everything but the skin. Packed with the good stuff. Founded in 2005, Whole Planet Foundation is a Whole Foods Market foundation that funds poverty alleviation worldwide where the company sources products. The nonprofit’s mission is to empower the world’s poorest people with microcredit and the chance to create or expand a home-based business and lift themselves and their families out of poverty. As of December 2016, Whole Planet Foundation is alleviating poverty through microfinance partners in the United States and 68 other countries throughout Africa, Asia and Latin America where the current average first loan size is $187. To date, the nonprofit has disbursed $63 million through microlending partners worldwide, funding 1.9 million microloans and 10.5 million opportunities for a better life for microentrepreneurs and their family members.